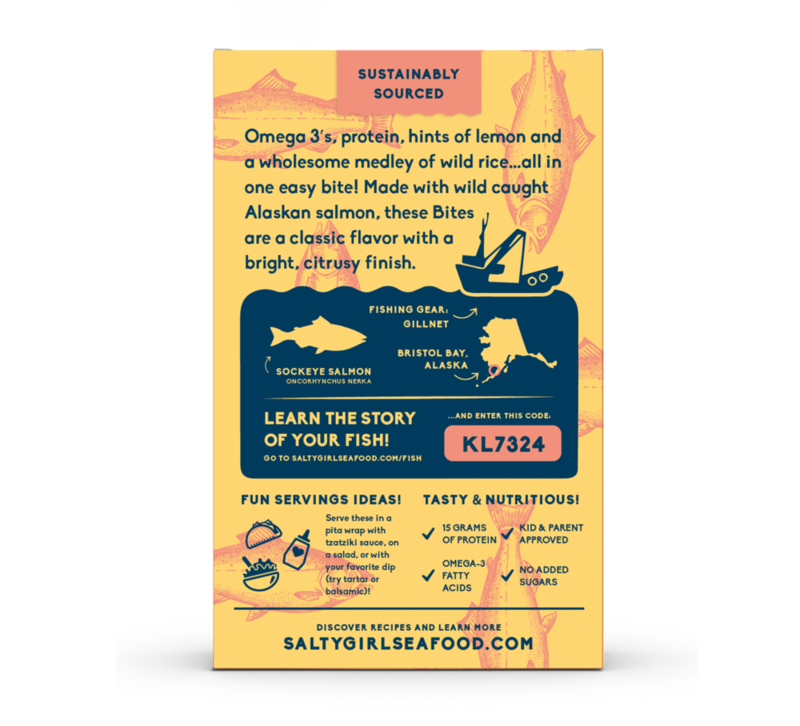 Salmon Bites with Lemon + Sea Salt — Salty Girl Seafood, Inc. Finally! Bite-sized finger foods packed with omega 3s, healthy protein, and great taste. Not breaded or fried, these tasty, wild salmon bites get seafood in kids bellies without a fight. Gluten free and dairy free, non-GMO, with no added sugar, these are just the thing for moms in search of healthy, easy to prepare protein for their kiddos. With hints of lemon and a wholesome medley of wild rice, these Bites are a classic flavor with a bright, citrusy finish. Serve them up in a pita wrap, on a salad, or with your favorite dip! 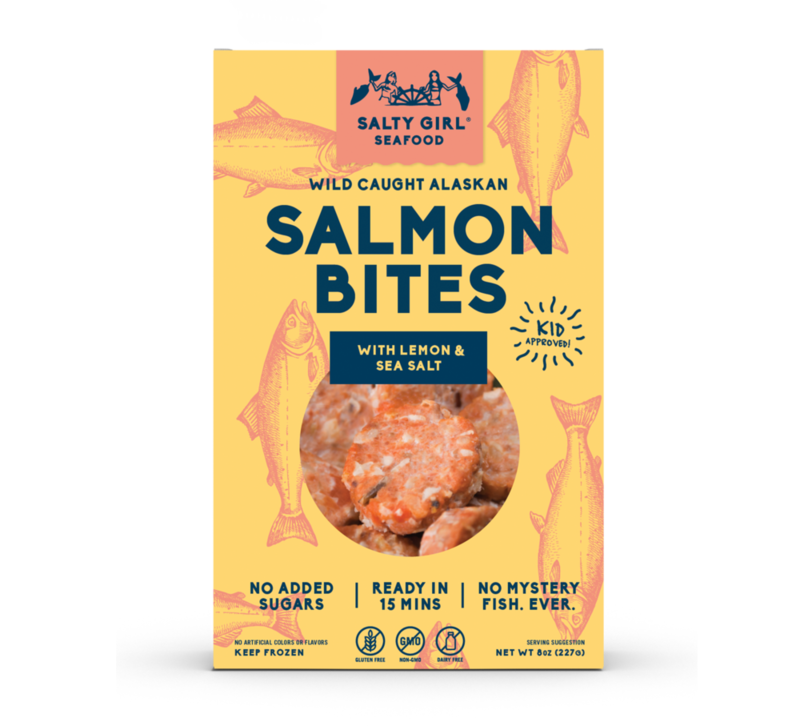 Ingredients: Wild Alaskan Salmon, Wild Rice, Lemon, Egg, Apple Puree Concentrate, Lemon Zest, Gluten Free Oat Flour, Dried Apple, Sweet Onion, Olive Oil, Sea Salt.